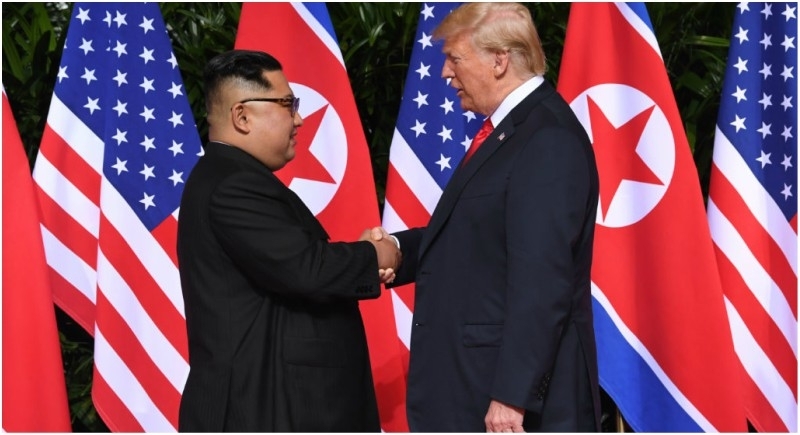 Washington, February 6: US President Donald Trump today announced that he will hold the second summit with North Korean leader Kim Jong-un in Vietnam on February 27th and 28th. The announcement came during his second State of the Union Address to the US Congress. Trump said progress has been made in his administration's efforts to achieve peace on the Korean peninsula. He said that although much work remains to be done, his relationship with North Korea's leader is "good." Last year, Kim and Trump met in Singapore, marking the first bilateral meeting between the leaders of the two countries. Making a strong pitch for people to enter the US-based on merit, President Trump, in his annual State of the Union address, said immigrants enrich the nation in countless ways. He said he wants people to come legally. Trump said the US Congress has 10 days left to pass a bill that will fund the government, protect the homeland and secure the southern border. He reiterated that he would get the wall built. He said it would be a smart, strategic, see-through steel barrier not just a simple concrete wall. President Donald Trump told Congress that Washington's aggressive trade negotiations with China would mean an end to its alleged "theft" of US jobs and wealth. He asked Congress to pass the United States Reciprocal Trade Act. The proposed legislation would expand the White House's latitude to impose tariffs if other countries' tariffs or non-tariff barrier exceed US ones. The president already has some powers to impose tariffs without congressional approval, primarily by citing national security as a reason. He has used those to impose tariffs on steel and aluminium imports. Informing the US Congress that his administration is holding "constructive talks" with the Taliban, Trump said he has accelerated America's negotiations to reach a political settlement. He warned opponents of any misadventure against the United States. Currently there are 14 thousand US troops stationed in Afghanistan.